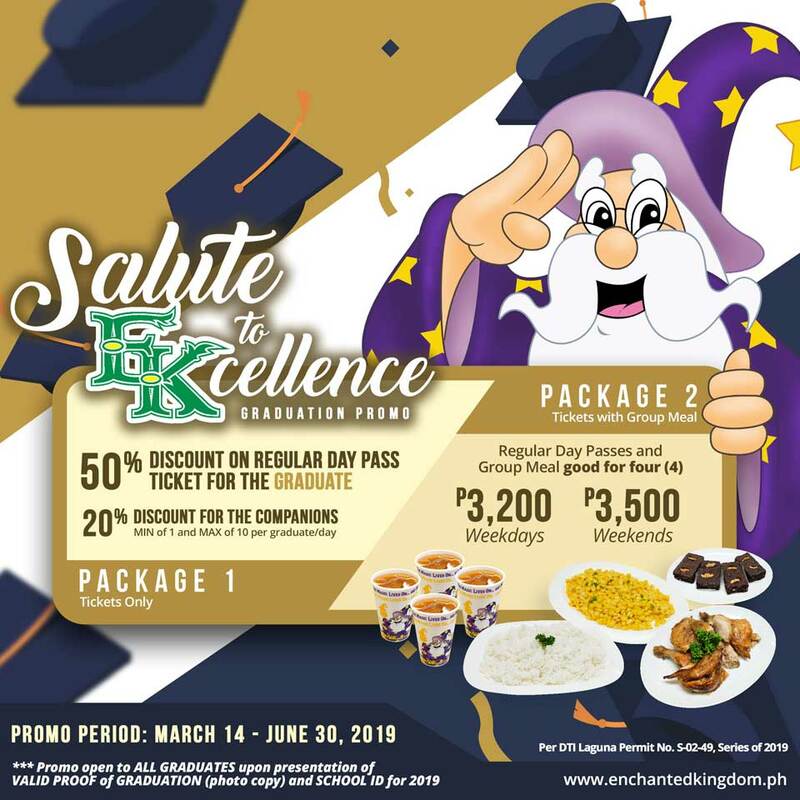 Calling all graduating students this 2019, Enchanted Kingdom is bringing back the Salute to EKcellence graduation promor just for you! Your perseverance in school definitely paid off that’s why you deserve a magical day at Enchanted Kingdom! The Salute to EKcellence Graduation promo is open to all graduating students/Class of 2019 including Moving Up awardees from Senior Kinder, Grade 6, Grade 10, Vocational, Bachelors, Masteral, and Doctorate degrees. If you are one of those mentioned, get ready with your photocopy of valid proof of moving up/graduation such as a certificate, graduation photo, or graduation program/ceremony invitation with the Graduate’s name indicating the S.Y. 2019. Don’t forget to bring your school ID as well! You may choose one from two packages. Package 1 includes tickets only (the Graduate must be accompanied by at least one non-graduate companion)—50% discount on Graduate’s Regular Day Pass (P400 on weekdays and P450 on weekends), while the companion/s gets 20% discount on their Regular Day Pass (P640 on weekdays and P720 on weekends). Package 2 is inclusive of 4 Regular Day Passes and a meal good for 4—P3,200 on weekdays and P3,500 on weekends. This promo will run from March 14 to June 30, 2019 only. 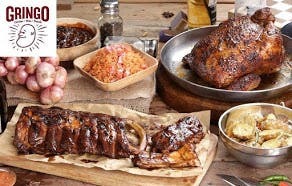 Go and have fun with your friends and family! Tickets may be purchased at the Front Gate ticket booths and Group Sales Office – Santa Rosa, and are good-same-day tickets valid only on the day of visit. All tickets cannot be rebooked nor be used in conjunction with any other promos and discounts. Visit www.enchantedkingdom.ph to see the Park schedule and plan your trip to Enchanted Kingdom! See you there!